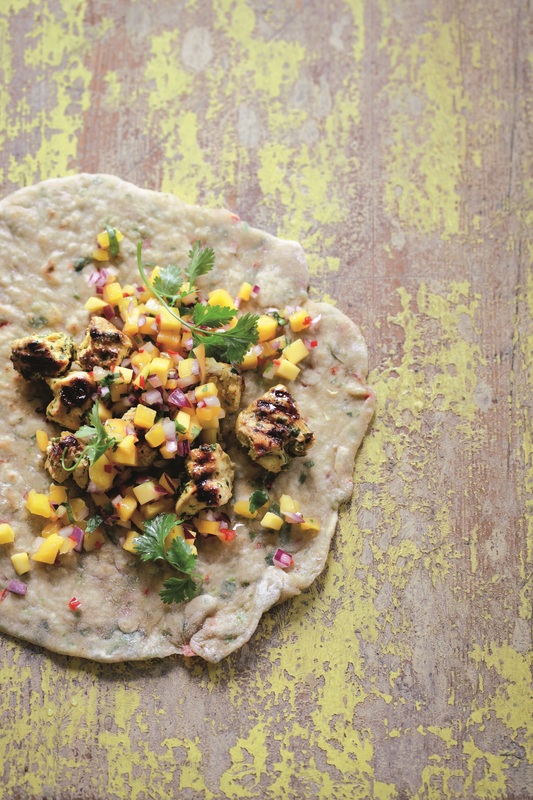 Placed on 23 June 2014 .
for Chermoula Chicken Skewers, Seasoned Roti Wrappers and Mango Salsa. This is a combination that encompasses three continents, but I find that it comes together beautifully on the plate. See if you agree with me. Enjoy! I’ve made this and yes, this is fantastic. Funny how our minds think along the same lines, just last night, I thought of serving this in my party tomorrow night! Hope your guests enjoy it too, Pia!